Every event planner looks for and appreciates tools that make their event planning tasks easier. Event registration, ticketing and money collection has classically been a tedious and often frustrating job for those involved; not to mention costly and time consuming in terms of required man power and printing costs. Eventastic was designed and built to assist event profs by meeting all your event registration and ticketing needs along with collection of monies. No matter what size of event or complexity, Eventastic is user-friendly, accessible on any device and provides you with innovative tools to help you in your event planning process. 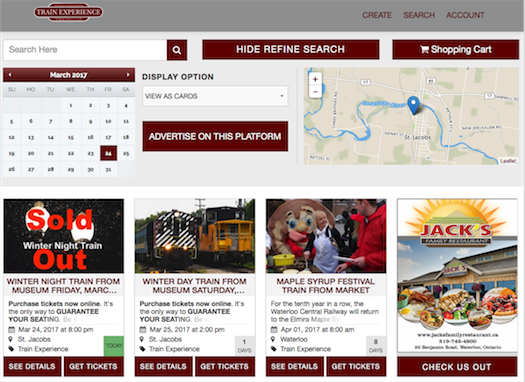 You will be able to effectively market your event through all social media channels, email, and even utilize a customized, easily installed ticketing tool to your website and all social media channels allowing visitors to click and go directly to ticket purchasing! It’s simple to set up your event page using the easy step-by-step directions and money collection following the event is a snap. Eventastic provides you with a customizable registration form attached to your free event ticketing option, allowing you to collect any information you require from attendees prior to your event. Any questions you are needing answered by registrants like “Do you plan to attend the luncheon?” or “What is the make and model of the car you are entering in the Car Show?” or “Do you want chicken, beef or fish?” can be answered and submitted to the organizer when tickets are purchased. This information is then easily viewed in your event dashboard allowing you to properly prepare for your event. Knowing answers to questions which help you further prepare for numbers, attendee choices etc. will only make it easier for event professionals to improve everyone’s event experience. 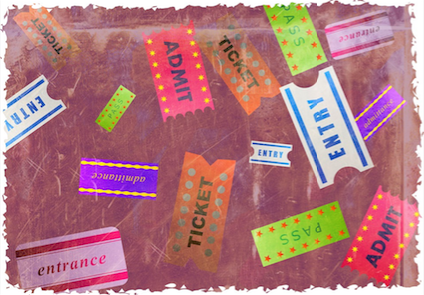 Create ticketing for your event by simply clicking “Create New Ticket”, name the ticket (i.e. Entrance Ticket, Luncheon Ticket etc. ), type in the ticket cost and add any additional info you wish to have appear on the ticket. Create as many ticket types as you require and take advantage of sharing your event page with ticketing and donation options as well as utilizing the NEW Ticketing Tool which is automatically created for your event. In just 2 easy steps you will be able to sell tickets anywhere on the web with your customized ticketing tool! When you’re ready to collect your money, just request it! You will then receive a confirmation email titled, “Your Cashout Request Is In Review”. The Eventastic team will complete the cash out and generate an email transfer that you can deposit directly into a bank account. If you have utilized Event Reps or Affiliates they will also receive an email transfer. Eventastic allows you to easily manage your event online from anywhere! It’s all about raising money, or is it? Success at charitable golf events almost always include killer prizes….but if you’re raising money for charity how do you have the funds to give these great and costly prizes away? We all know you don’t call a business and say “wanna sponsor us?”… It doesn’t work that way. Donors and sponsors all want to know what is in it for them. It’s takes a compelling story and some demonstration of ROI( even if it is last year’s attendance numbers). We’ve created the event functionality that allows you to easily demonstrate what ROI you can offer the donor or sponsor. When you create your ticketing or registration through Eventastic, you get access to tools that help support why a sponsor should give money for your event and why a donor should contribute goods. The answer is simple: profile. With some of the innovative built in features event organizers can display and highlight sponsors from day one; no more waiting for the day of the event. This can be done many ways which can add that extra oomph to get opt in. Upload logos and images to the cover photo section of the ticketing page as one of the revolving photos viewable by all seeing your page. You can also promote your sponsors through the photo album section of your page depending on how much exposure you are wanting to give. Every time your ticketing page is shared your sponsors get more exposure. Eventastic also offers a sponsor feature section on your ticketing page allowing you to upload sponsor logo and link to their website! The kicker: photos can go directly from your event page to live stream on the wall of your event! The extra kick: attendees can be given permission to upload photos directly to the event page which feed into the live streaming. You can allow and give the idea to Sponsors that they can create photo ops to increase both the engagement of attendee and awareness of the brand. Event banners can be used to highlight sponsors and donors which give them the extra profile thus increasing incentive. Since banners are unlimited, you can give each sponsor the specs and have them provide you their own promotional banner. Donated silent auction items can profile the donor because each item can be displayed in the Silent Auction featured section of the ticketing page along with an image. Adding the logo on the image puts their name front and center throughout all marketing efforts leading up to the event, not just on the day of. Plus, Eventastic’s Silent Auction feature allows organizers to download bidsheets customized for each silent auction item & donor added to the page! Learn more about our silent auction feature!